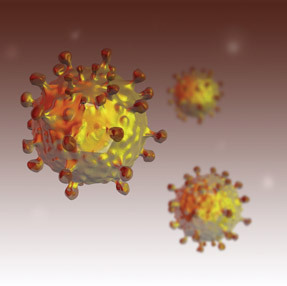 The approval of multiple drugs in 2013 and 2014 that are able to cure hepatitis C without the use of interferon has dramatically changed the screening, treatment, and epidemiologic paradigms of the virus. Soon, internists will be involved in this rapidly changing area of health care. Proponents of direct-pay practice models argue that such alternatives are a badly needed intervention for both doctors and patients frustrated by the limited care that can be provided in 15-minute intervals or less. Other physicians are concerned that such models could shut out lower-income patients, creating a 2-tiered health system and further straining an already overstretched primary care workforce. Based on Obamacare's year 1 enrollment numbers, the law has been very successful in bringing down the numbers and percentages of people without health insurance. But these data also show why it struggles to win support among the broader public. Among the many efforts to improve teamwork and improve patient care, one potential area for significant improvement remains: the selection of medical trainees. This issue covers topics including management of hepatitis and the effect of new direct-pay practice models on primary care practice. Understand how to bill and code for a final rule that updates payment policies and rates for services furnished under the Medicare Physician Fee Schedule, making it certain that Medicare will pay for chronic care management services. Try motivational interviewing as a method of communication in which the physician coaches##mdash;or rather coaxes##mdash;the patient toward lifestyle changes via his or her motivations. A 55-year-old man is evaluated for a 1-day history of seeing flashing lights, “squiggly” lines, and floating objects in his left eye followed by loss of vision at the outer periphery of the eye shortly after having breakfast this morning. He now describes seeing what looks like a curtain coming down in that location. He has myopia requiring prescription glasses. Following a physical exam and an eye exam, what is the most likely diagnosis?. Jock Murray, MD, MACP, is like an 18th-century physician, not in the sense that he prescribes bloodletting or mercury, but in the wide range of his knowledge and interests.